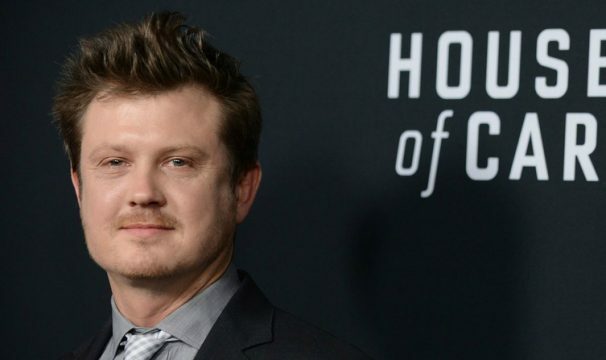 Beau Willimon, the creator and former showrunner of Netflix’s political flagship House of Cards, is trading the Oval Office for the Red Planet, now that his sci-fi series The First has been ordered to series at streaming giant Hulu. First reported by Deadline, the show largely centers on humanity’s endeavors to colonize Mars and extend their reach further into the solar system. “It’s a story about the human spirit,” Willimon teased in an official statement, noting that The First stays true to its name in that it follows a team of elite scientists and pioneers who stage the inaugural manned mission to Mars. One small step for man, one giant leap for mankind? The Red Planet only continues to be a point of fixation, both in reality and through sci-fi yarns in the vein of Andy Weir’s The Martian. Still, there are precious few story details available for The First – no casting news; no release date – but the cameras are expected to start rolling later this year in anticipation of a 2018 premiere. UK broadcaster Channel 4 is co-financing Willimon’s project, so we fully expect it to air simultaneously across both sides of the pond. [It’s] about our indomitable need to reach for unknown horizons. About people working toward the greatest pioneering achievement in human history. And about the cost of that vision, the danger and sacrifice – emotional, psychological, and physical – that’s required to achieve it. How ordinary, imperfect people band together and overcome a myriad of obstacles to grasp the extraordinary. The First was by no means the only TV show to land a series order over at Hulu today; The Runaways, Marvel’s live-action depiction of Brian K. Vaughn and Adrian Alphona’s comics, also secured its place on the streamer’s lineup. Headed up by Rhenzy Feliz, Lyrica Okano, and Virginia Gardner, it’s aiming for a 2018 debut, too.